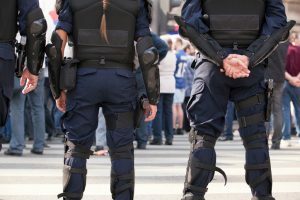 Ever-increasing threats involving terrorism, active shooters, civil unrest and other malicious acts bring to light the need for new, more comprehensive insurance coverage forms. They also prove the need for pre-event and post-event risk management. As a result of the Las Vegas incident, gone are the days when sports / event administrators can just hope for the best. Sports and recreation events with large numbers of participants / spectators in public settings are ripe targets for malicious actors. As a result, these organizations must start to purchase appropriate insurance and follow risk management best practices when addressing these threats. According to the Advanced Law Enforcement Rapid Response Training Center, active shooter events increased from 5.2 per year from 2000 to 2008 to 15.8 events per year from 2009-2012. The figure rose to an average of 20 incidents per year in 2014 and 2015, according to the FBI. Most of these events occurred on business, school, and government properties. However, the Las Vegas incident introduced sports and recreation venues as high-profile target areas. Liability for failure to have a risk management plan, failure to respond, inadequate on-site security, inadequate on-site medical personnel, fencing too high to escape, etc. resulting in bodily injury to participants, spectators, employees, independent contractors, vendors, and other members of the public. The potential for damages are astronomical due to the large number of people at risk. Property damage to premises and clean-up expenses. Property damage may result from bullet holes, bomb blasts, fire, vandalism, and contamination. Clean up may include removal of bodies, blood, debris, and contaminants. Public relations expenses and post-event counseling expenses due to emotional and psychological duress. Loss of income from the event and future events, both at the same location and all locations. Loss of reputation resulting in lost future revenues. Standard terrorism: Traditional terrorist attacks are large scale and highly coordinated. They typically target global corporations, buildings, transportation systems, and other infrastructure with bomb blasts. A new type of ISIS-inspired terrorism emerged in recent years with smaller, lone-wolf type attacks. These include the use of trucks to run through crowds and small arms and knife attacks. Terrorists attempt to intimidate, coerce, or harm a civilian population or government. Chemical, biological, radioactive terrorism: Terrorists can cause catastrophic loss of life, property damage, and financial loss from chemical, biological, and dirty bomb terrorism. Even the mere threat of these types of terrorism incidents can cause massive losses due to closures, evacuations, and postponements while the threat is being investigated. Cyber terrorism: Terrorists may employ cyber attacks on a government’s infrastructure, industrial controls, banking system, hospitals, etc., resulting in property damage and business interruption. Active shooter: Active shooters are typically single assailants who attack large groups in confined spaces. They have no connection to their victims and are not motivated by terrorist causes. Civil unrest: A disruption in the social order involving a group of people engaging in protests, riots, and strikes, which may result in violence, property damage, and loss of revenue. Impairment of access: Acts or mere threats of violence can prevent employees or customers from accessing work sites, resulting in financial loss. Impairment may result from terrorism, civil unrest, strike, or government cordon at either the employer’s location, adjacent locations, or within a certain mile radius. What insurance coverages are required to protect against mass violence and disruptions? The types of common insurance policies that can come into play after a mass violence or disruption incident are Workers’ Compensation, General Liability, Excess Liability, Property (direct damage and loss of business income), Cyber Risk, Event Cancellation, and Active Shooter insurance. Workers’ Compensation responds to job-related injuries to employees or uninsured subcontractors. It covers medical bills, lost wages, and lump-sum awards for disabilities, disfigurements and death benefits. Uninjured employees who witness a malicious act event may qualify for benefits due to post traumatic stress disorder (PTSD). Workers’ Compensation is typically the exclusive remedy for an injured worker. But some scenarios may arise where employers can be sued directly for failure to respond to specific threat warnings prior to an event. There is no terrorism exclusion under a Workers’ Comp policy. The standard General Liability policy form carried by most sports and recreation organizations will likely respond to most claims alleging failure of the organization to prevent or adequately respond to an incident resulting in bodily injury or property damage. Note that the policy’s each-occurrence and/or aggregate limit may not be adequate to pay the types of extreme damages that may result when multiple individuals are killed or seriously injured. 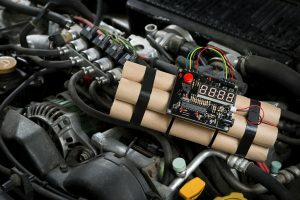 General Liability policies may contain an exclusion for certified acts of terrorism as defined by the Terrorism Risk Insurance Act (TRIA) unless the buyback has been selected with the additional premium paid. Opting for the buyback, which is relatively inexpensive, is strongly recommended. To be a certified act of terrorism under TRIA, all property & casualty insurance losses must exceed $5 million and an effort made to coerce a civilian population of the U.S. or influence the conduct of the U.S. government. Excess Liability insurance extends the liability limits of the underlying General Liability policy in increments of $1 million, depending on the policy limits purchased. The same coverage considerations that apply to General Liability also apply to Excess Liability. Excess Liability policies may contain the TRIA exclusion for certified acts of terrorism. In addition, some carriers may apply an additional exclusion for non-certified acts of terrorism. This could eliminate coverage for smaller scale terrorist events and active shooter situations. Sports organizations should strongly consider opting for the buyback from certified acts of terrorism under TRIA. They should also consider negotiating with their carrier to remove any exclusion for non-certified acts of terrorism. Property insurance policies may pay for direct damage to buildings and contents from a covered malicious act attack. They may also cover indirect damage, which includes loss of business income and extra expense. Coverage for business interruption is only triggered if there is a direct physical damage loss under the policy. Organizations should also consider a business income buyback for losses stemming from actions by a civil authority to prevent or limit access. This commonly occurs after a malicious act as the location will be considered a crime scene. Business interruption insurance is a complicated coverage. As a result, if a loss occurs, organizations should hire an expert to assist with the filing of a claim to maximize recovery. Certified acts of terrorism under TRIA can be covered if the buyback is selected and the additional premium paid. However, even with TRIA, the standard war exclusion will not be removed and additional exclusions may exist for nuclear, biological, chemical, and radiological (NBCR), depending on the state. Cyber extortionists can shut down computer systems with denial-of- service attacks and other cyber-extortion schemes. Terrorists can hack into systems causing direct damage to equipment, software programs, and data. 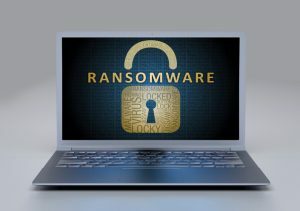 Cyber Risk policies can pay for the following direct damages to the policyholder: extortion or ransom costs; restoration costs of lost data, information, and programming; and business interruption and extra expense resulting from failure of computer systems. Cyber Risk policies can also pay for liability costs resulting from hacking, breach of confidential data and related credit monitoring costs. Due to the limitations of standard property & casualty insurance policies, we advise sports organizations hosting events purchase Event Cancellation insurance with appropriate coverage enhancements. Traditional Event Cancellation policies may cover loss of business income due to adverse weather; venue unavailability from perils such as fire, collapse, gas leaks, and flood; wildfires, earthquakes; loss or power or communications; communicable disease; non-appearance of key speaker or entertainer; and national mourning. 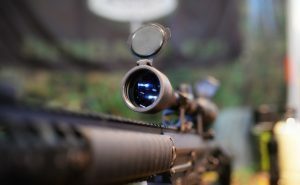 Additional endorsements may be available to cover loss of business income due to terrorism; sabotage; active shooter, chemical, biological, radioactive or nuclear (CBNR) terrorism; war, civil war, and political subversion; strikes, riots, and civil commotion; political intimidating; and national mourning. Some carriers may extend coverage to mere threat of many of these perils. Primary Liability with limits ranging from $500,000 to $25,000,000 to cover allegations of negligence from harm caused by attacks using deadly weapons. 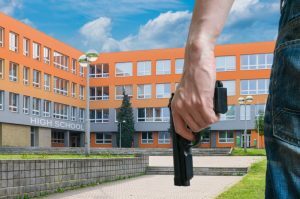 Even if existing General Liability and Excess Liability policies respond to these allegations, such limits may not be high enough to cover potential damages in an active shooter situation. As a result, a high-limit Active Shooter policy may be a more cost effective way to increase protection. Pre-event services, such as security vulnerability assessment, preparedness seminars, and training modules. Post-event services, including crisis management, advising on emergency communications, emergency call center, and counseling. Pre-event risk management for active shooter situations is becoming commonplace in educational, business, and governmental settings. Training staff on how to exit, resist, or fight can buy time for law enforcement to arrive. ALICE provides client-specific training with a plan geared towards particular locations. In the context of sports and event incidents, the two preferred techniques are usually alert and evacuation. For more information on Event Cancellation and Active Shooter insurance and risk management please complete our Contact Us form or call 800-622-7370 and ask for our sports department. Adverse weather that prevents participant and ticketholder arrivals and departures, including postponement and cancellation contingency plans. Surrounding activities such as pep rallies, parties, entertainment events, etc. Collapse and other liability resulting from temporary event structures such as stages, bleachers, platforms, tents etc.